For biomolecular interaction analysis non-covalent ligand immobilization strategies are commonly used as they require no chemical modification of the ligands and as the sample consumption is usually small. Furthermore, capture molecules that possess a specific affinity towards a certain ligand molecule can be used to immobilize a specific ligand from a crude mixture. Yet, non-covalent immobilization can be problematic, if the complex of capture molecule and ligand is not sufficiently stable. Especially the rate of dissociation is crucial as the ligand might dissociate faster from the capture molecule than the analyte dissociates from the ligand. 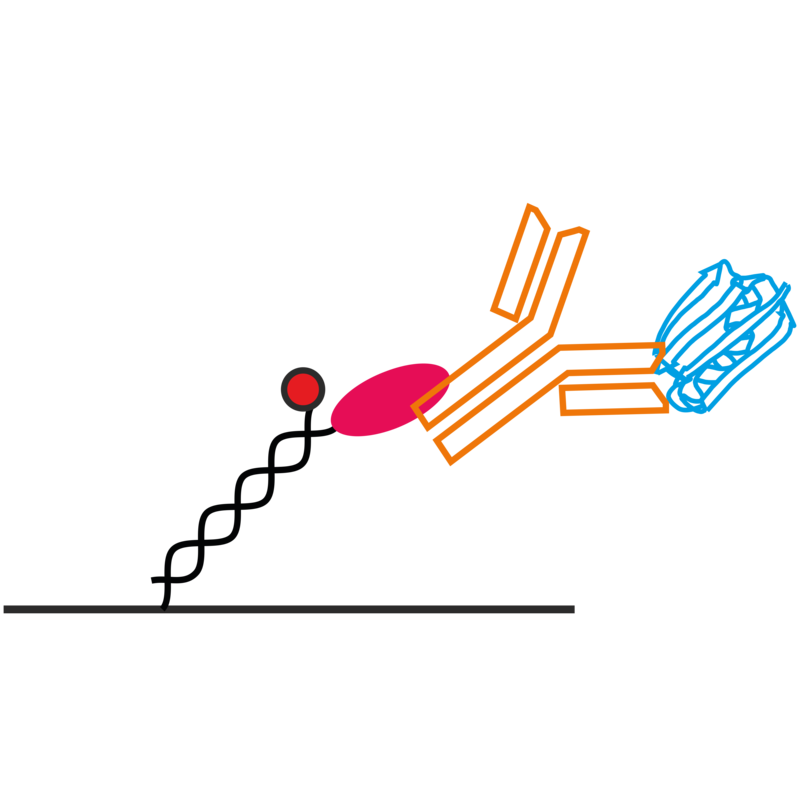 In this application note, we introduce CaptureSelect™ capture molecules, which specifically immobilize antibodies from three species (rabbit, mouse, human) at very high affinities.